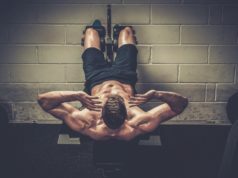 TO OFFICIALLY CALCULATE your fitness age, you’ll need to fill out a questionnaire devised by exercise scientist Ulrik Wisløff at worldfitnesslevel.org. Here, Wisløff walks Michael Rodio, a casual lifter and erstwhile CrossFitter, through each question. Step 1: Where are you from? Ethnicity? Highest level of education? Step 2: Gender, age, height, weight. Rodio’s take: I’m 26, 1,8m , 79kgs. I enter twice, because I accidentally type in my weight in kilograms the first time. Step 3: What’s your maximum heart rate? Step 4: How often, how long, and how intense is your exercise? Step 5: What’s your waistline? What’s your resting pulse? Rodio’s take: My belt suggests a 78cm waistline. My Fitbit says 55 bpm. Even though I’m 26, with an expected VO2 max of 53, I have the fitness age of someone under 20 years old, with an actual VO2 max of 60. Ready to take Wisløff’s questionnaire? 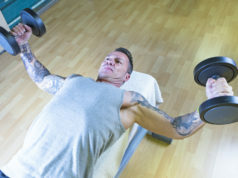 Find out your fitness age at worldfitnesslevel.org—and read our feature on how to lower yours.